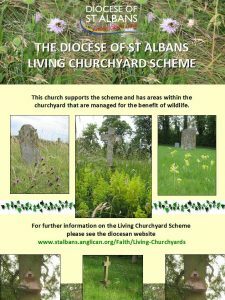 The Living Churchyard Project aims to help churches manage their churchyards in a wildlife-friendly way, while being sensitive to the needs of all churchyard users, paying particular heed to the primary function as a resting place for the dead and a contemplative place for friends and relatives of those buried there. Judith Evans promotes the Project within the Diocese and is able to provide sources of reference, guidance and advice, and in some cases, practical help through partner organisations. 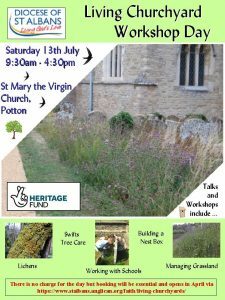 at St Mary the Virgin Church, Potton.